With the new year approaching we’ll all be thinking about our resolutions, what we want to change about ourselves or how we can improve our lives. One thing we’d recommend you add to your list is to get more culture. When the Christmas season passes we’re left with the cold weather but none of the joviality to spur us on. Since it really is a bit too cold to be out and about, may we suggest you look to some of the gallery events going on in Holland in 2014. 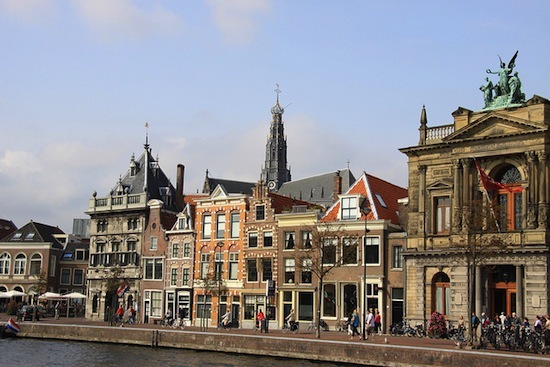 Holland’s oldest museum is now home to some 265 Rembrandt etches. These have been on display in Teylers Museum, Haarlem since September 2013 and the exhibition will finish on January 19th 2014. Rembrandt enthusiasts were asked to name their favourite pieces to be put on display and you can see 100 of the top choices. Rembrandt is one of the crowning jewels of Dutch cultural heritage. This is a very important display for the country, you’ll see all the splendour of the Dutch golden age of painting in a museum dating back to the Enlightenment. From the collection of Rembrandt’s works you’ll be able to see everything from self-portraits to nudes and landscapes. This will be a fantastic trip for any who appreciates or wants to learn more about fine art. The Teyler’s museum is also home to Michelango’s sketches and has collections in the field of natural history as well. This event was begun a way to kick off the Christmas period but it continues on until January 20th, so there’s plenty of time to see it. Amsterdam’s Light festival is really about aesthetics. Light artists are recruited by the city to make it beautiful by night. Since Amsterdam already has a great deal of beauty this doesn’t seem like quite such a chore, so the artists have had to work extra hard to add intrigue and splendour to their pieces. You can take it easy and travel by boat down the canals to see the lights or get a map and follow one of the trails. Some of the displays are hidden so it becomes a bit like treasure trail. If you intend to stay in the capital for some time then this is certainly one of the better ways to come to grips with the lay of the land. We’re hesitant to recommend this one for the kids, it will surely be a sight to behold but the Grimm brother’s fairytales come to life in ice may be a little too frightening for the youngest of children. The city centre of Zwolle in northeast Holland will be home to all the horrors and delights of the Grimm brother’s tales from Little Red Riding Hood to Rumpelstiltskin. 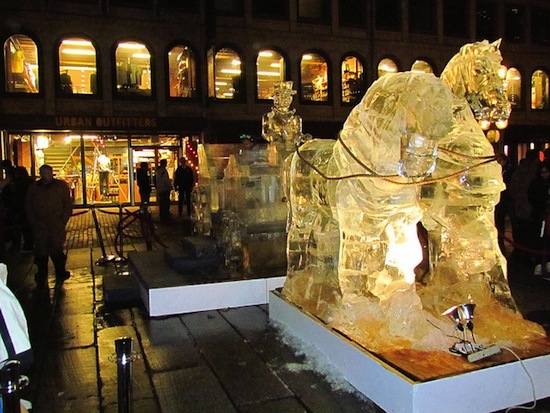 250,000 kilograms of snow and ice have been brought to Rodetorenplein square for the biggest ice sculpture festival in Europe. It’s been running since the 9th of December and hopefully will not have melted too much by the closing date on January 23rd 2014. Zwolle also has its own ice hotel, if you just can’t get enough of the chill air. You’ll have a view of all the ice sculptures in the square below from your room of ice kept at a temperature of -8 degrees celsius. Perhaps bit too early for us to get that spring feeling, but there is, after all, a very good reason why tulips are synonymous with Holland. 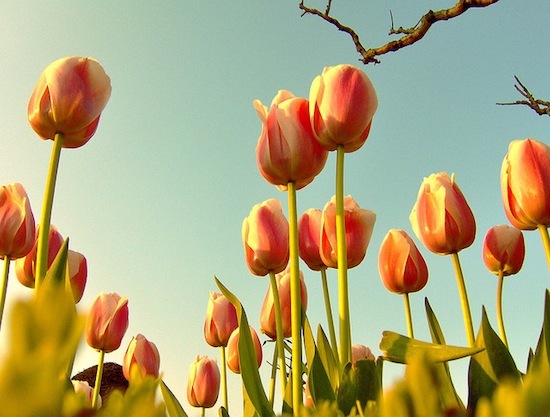 On January 18th the Dutch celebrate the beginning of tulip season. The season lasts all the way through to the end of April so if you don’t want to use up all of your annual leave this early in the year you can wait a bit. The ceremony of national tulip day makes it worth the journey. Tulip growers from across the country congregate at the heart of Amsterdam and form a huge tulip garden homing tens of thousands of tulips in to a gigantic carpet of colour and scent as all the varieties of tulips appear woven together. It’s estimated that around 1.7 billion tulips make their way to Amsterdam for this occasion and everyone is invited to pick a bouquet, absolutely free, to bring a bit spring back to their home. Art Rotterdam is the international art fair hosted in Holland’s port city. To really get to grips with whats happening in the art world right now you won’t get a better opportunity to see the pieces that may define where modern art moves to in the future. Some of the most exciting emerging talents in the art industry are on display in Rotterdam. You can swing by Art Rotterdam as soon as you get off the ferry, or if you find you are a bit too early to board your ferry it’ll make a nice pitstop before the journey home. Art Rotterdam is the culmination of seventy international galleries compiling the newest, most original and highest quality pieces. This isn’t just a commonplace exhibition, it is expected to attract professionals from all areas of the design and visual arts world. It’s not just a matter of paint on a canvas there will be video art, sculpting and live performances as well. This is just a three day event from February 9th so book carefully if you wish to make it a part of your trip to Holland. Take a trip to Holland in 2014 with P&O ferries, their Hull to Rotterdam service will expose you to all the culture of the Netherlands.